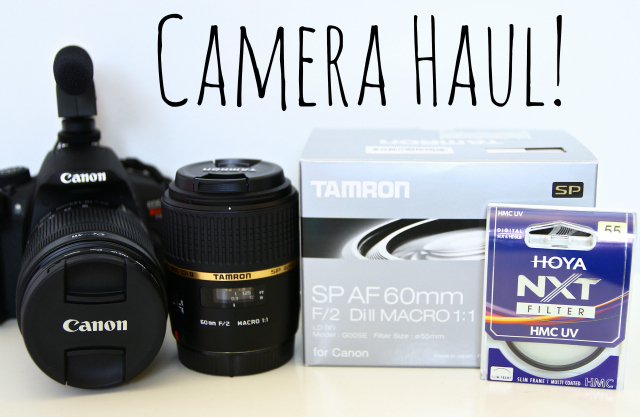 i heart you coffee: Camera Haul! I went in for the Canon Rebel T5i, which is an upgrade from my T3i. The reason that I wanted to upgrade is because Canon upgraded their video filming technologies from the T3i to the T4i/T5i, and added autofocus. Unless you make videos yourself and are the person both in front and behind the camera you can't even imagine what a big deal this is. My T3i doesn't have autofocus at all, which means that every single time I wanted to film I had to have someone (usually Blair) sit in my seat while I focused on them. If there wasn't someone around to help me I couldn't film... which got really annoying very quickly, especially when I moved into my new condo alone. On top of that, even when I did have someone help me focus there were times when the focus would be off just slightly, and the whole video would end up looking a little blurry. 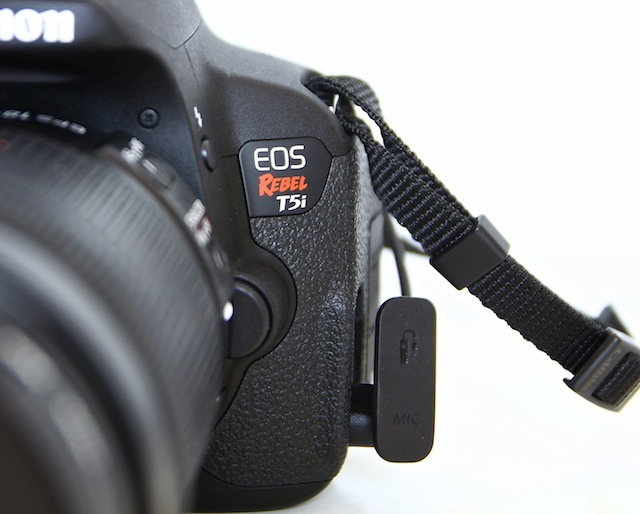 When the T4i came out featuring autofocus I got very excited, but upon further research found that it still wasn't very good. The new autofocus apparently made a ton of noise and interrupted filming with a constant "clicking" sound. So I decided to wait, and hoped that Canon would improve their cameras. And... they did. 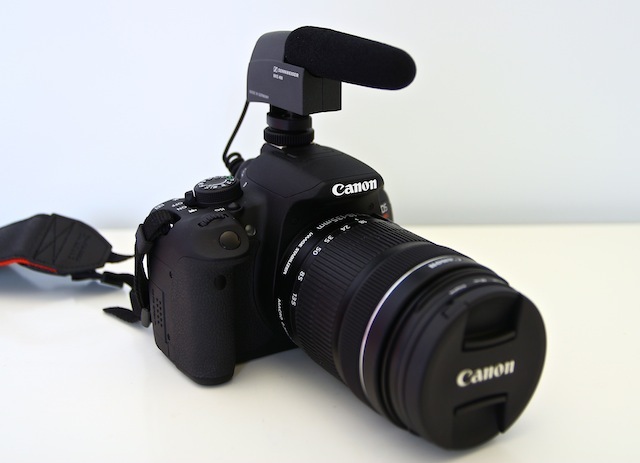 The Canon T5i came out with a brand new lens that has a completely silent motor, which basically means that as it focuses in video mode it doesn't make the annoying clicking noise that was common with the T4i. So after thinking about it I decided it was time to upgrade. I decided to get the kit with the EF-S 18-135 IS STM lens, which is the more expensive kit available, because after comparing the two lenses I decided this one was better for my filming needs. I have other lenses that I currently film on, but I needed this "silent motor lens" for autofocus reasons so I was deciding between the 18-135mm and the 18-55mm lens. If you're curious, I didn't even get a kit lens when I bought my T3i. I just bought the body, and bought my own lenses. I don't find kit lenses that good, although these two are the exception, since it has the silent motor. I've also been eyeing a macro lens for ages, mostly to help me shoot close-ups of products. Macro lenses enable you to get right up close to whatever you are filming or shooting, which makes product close-ups beautiful and super crisp. Since I was at the camera store anyway I decided to look around, and was thrilled to find a Tamron macro lens in stock for a reasonable price. 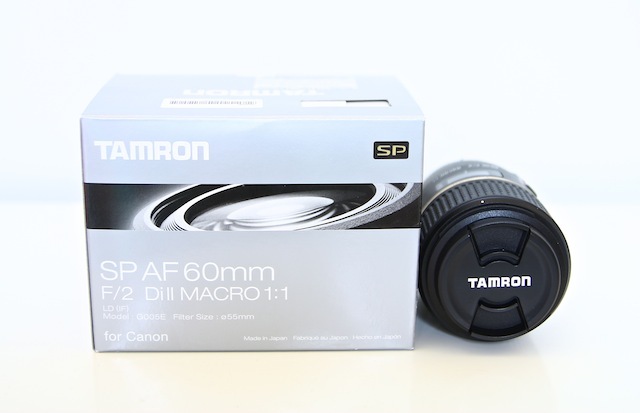 Needless to say, I am now the proud owner of a Tamron Macro 60mm F/2 lens. I've gotten a lot of tweets asking me if I am going to sell my T3i now that I have upgraded, and have also received emails offering to purchase it from me, but I have decided to keep it for now. It's super nice to have two for certain occasions, for instance when I am filming and photographing in the same day, because it's a pain to take the "filming" camera down, switch the lens, change all the settings, photograph stuff, and then have to set it all back up into "filming mode" when I want to film again. If it was just a simple switch of a button it would be one thing, but believe me when I say it's a process. It wouldn't be worth it to purchase 2 cameras just for this reason, but since I have two anyway it will make life a little bit easier on filming/shooting heavy days. I plan on filming with the T5i (thank you, silent autofocus), and shooting with my T3i, for which I already have a few extra lenses. 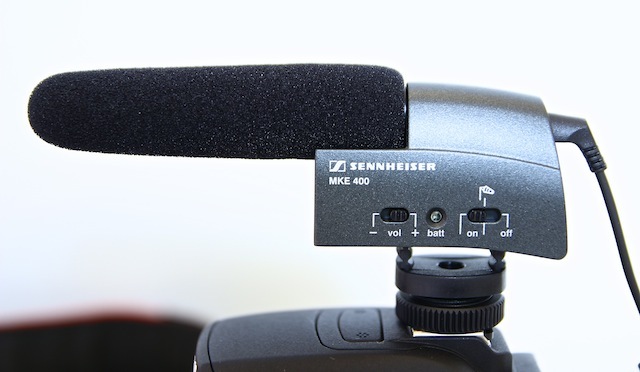 I also decided to invest in an Sennheiser MKE 400 external microphone. I didn't use one with my T3i, and didn't find any problems with the audio, but people who have these external microphones swear by them, and say it makes the audio so much more crisp and perfect. Since I'm using this camera primarily for filming, it makes sense to have the extra piece to make the sound quality much better. Plus, when I am filming from behind the camera, like in my latest bathroom tour video, I can swivel the mic around to point at me, eliminating the need to adjust the audio levels in post. Last but not least, I got a Hoya lens filter for both of my lenses. This is a little glass cover that fits right over the lens to protect it and make your quality better. I have one for every lens I own, and definitely recommend these. I feel so much better knowing the glass of the lens is protected. What an amazing camera! 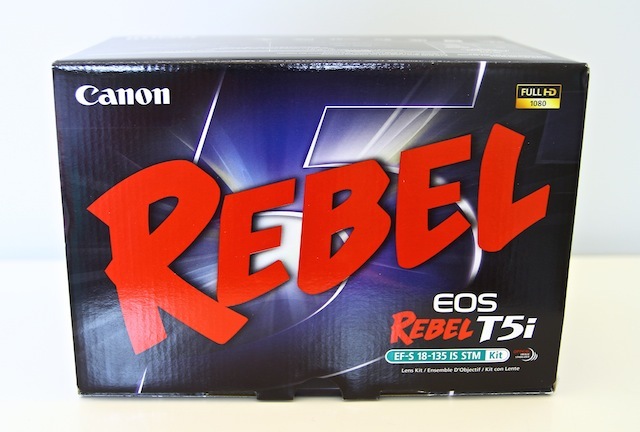 I have a rebel t3 and it's been really great for photography and am wondering how it will hold up filming. I can't wait to start testing it out, and also exploring new lens options. I definitely think the camera is worth the price tag. Such awesome quality. I'd love to hear more about your camera history - especially since I want to get more into you tube soon, since I love blogging, and sharing my favorite makeup. Awesome purchases!! I really am looking forward to your future videos :) cameras have always been slightly confusing to me, but this post was very informative... thanks elle! It looks like an awesome camera- I have the t4i and love it. It doesn't have a clicking sound if you got the most expensive kit, which is the silent lens. I can't wait to see the quality of the t5i. I don't plan on upgrading for a while, but I still love to see. I added the lens and the mic to my wishlist for sure! I would love to read a camera history, it sounds very interesting! I love your blogs, they are both amazing!! Although I'm not a YouTuber, I am a blogger and I found this post very interesting. I love camera's and learning about them and would love a post about your camera history! You should do a blog post on the settings you use/ have used in the past. I think that would be interesting. This is a great post, very detailed. I love that you looked into the camera and knew about it and had an idea of what you wanted before going shopping. Could you do a post on how you take such AWESOME "stock-looking" photos?! Sure does! My T3i is my go-to photographing camera :) I adore her! Yes! Please do a camera history blog! I really want to upgrade my camera! Alas, it'll be a few years before I do. It's quite an investment. Could you please do a review on the tamron lens? I've been eyeing it for a while now. Have fun with your new camera it looks really cool! I have a t3i myself and film beauty videos and I just use a little canon remote to focus on me. This way I don't need another person to focus my camera and these remotes are only $30! It's called Canon RC-6 Wireless Remote Controller and retails for $21 at Amazon. You can even start and stop recording with it! I have been wanting to start doing youtube videos, but I have been waiting until I can do some research on cameras and lighting. Let us know how you like the camera after you've used it a bit. Now I can't wait to see your new videos! Wow! I can't wait to see how your videos turn out with the new camera. I've always filmed with a regular video camera. Those kinds of fancy cameras are way too difficult for me, haha. My boyfriend bought one a few weeks ago and after that every night I was listening to technical camera stuff - I didn't understand a word but it was fun to see him so excited about something. He's on a roadtrip in the US now (we live in Finland) and I'm beginning to miss him A LOT. I definitely would like to read about your camera history! I think I and other beauty vloggers would benefit a lot from hearing about that. Also if anyone knows of a affordable starter camera that would be really helpful! :D I'm barely starting my own blog and I don't have a lot of money to spend at the moment! Just something that's easy to use and takes good quality pics :) Thanks! Oh, wow, I have major camera envy right now. I'm using an EOS 10D that's so old it can't even do video. Still takes great photos, but it's not the T5i. Camera history and mini reviews maybe on some of your faves. All price ranges would be nice (that you own anyways) !! I wish I could afford a camera like this! It looks great! congrats on the new camera and accessories! they look awesome. I love your writing and videos—very helpful and informative. I was planning on picking up the T3i in the next few days, but maybe you've changed my mind! I'll have to go play with them at the store. :) Thanks for this great review!! Please do another camera history post! It is so exciting to see you investing in your camera quality and your channel. I have been dreaming of a t3i and now you have me second guessing, would you say that a t3i is better for beginners? I cant wait for your next video with this camera! And yes a series on how to be a blogger would be amazing! Can you do one of these review posts withOUT an affiliate link? Then your post/review would be more believable. Very informative!! I was wondering how you made the focus of your videos - blurry in the background and you very focused and clear? Thanks! Would love to read more about your camera history. I've been wanting to purchase my first DSLR for my blog but have been so overwhelmed with the choices. Would LOVE to learn from what you've learned over the years. t4i has the same exactly silent lenses... the t5i was a minimal upgrade. If you were getting a new camera with autofocus and everything you definitely should ahve gone for the 70d. You should watch DigitalRevTv on youtube, their videos are hilarious (sometimes completely uninformative, but hilarious) and I'm kinda obsessed, and I'm not all that into photography beyond product shots for my blog. Haha I feel like my camera is so outdated. I have the Canon T1i still. I hoping to someday have enough room and money to but not only a newer camera but also some lights and backdrops for my photography. Yes, definitely talk more about your camera history. I also do beauty videos on Youtube and it would be interesting to know which way I can increase the quality of them! I was wondering if you could post some pictures that you have taken. You never really show pictures that you have taken with your cameras unless they are pictures of products you are talking about. Please just take this into consideration. Also, I think it would be a great idea to do the camera history. :) I love your videos and blog posts. Thanks so much for this post! Quite often there can be questions about different equipment that bloggers and YouTubers use for their different projects, and you go into a good amount of detail about the products you chose. I think sharing about your camera history would be great! Totally know what you mean about the focusing when no one is around. I usually end up with a pillow propped up or boxes piled up to focus on the space and place I want. Thanks for posting this! 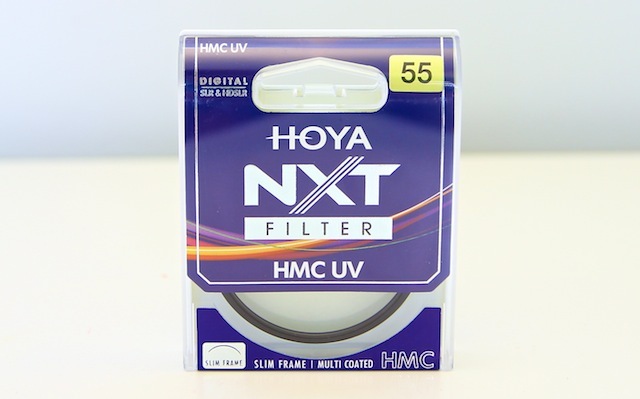 I had recently bought the T5i, I am totally in love but didn't think of purchasing the Hoya filter! My blog is all about my toddler and she is constantly trying to "help" by touching the camera and the lens and the uv filter is MUCH easier to clean then the lens. Thanks so much!! :) Enjoy your new camera! Indeed, even most low evaluated cameras, have a fast pivot time in the middle of shots or amid a progression of speedy exposures. In the event that your photography requires quick shooting and many casings every second, it would be a smart thought to look at the edges every second and slack time insights before buying camera with flip screen.